The longest interruption in my nine years of book blogging was completely unplanned. This past winter was hard, and the habit of writing here fell by the wayside without my quite noticing. But I’m still here, still reading, still brimming with words — and it’s becoming increasingly clear to me that I don’t really feel like myself without an outlet for these words. With that in mind, now seems like as good a time as any to attempt to pick up the habit of blogging again. I’ve been trying to base this post on a notepad file with brief reading notes I kept over the winter months, but I can’t quite develop it into a coherent narrative without the level of detail I failed to include because I wasn’t “really” writing. Whatever was occupying my mind at the time has proved slippery, and that, too, is a reminder of why I do this. It’s important to me to remember and cement my thought processes, as well as the aspects of my reading that stood out enough that I wanted to respond to them with words of my own. I think I can truthfully say I care about doing this in a way that goes beyond the social side of writing publicly; beyond the reaching out of it — and yet I want to express this thought in a way that doesn’t make it sound like I’m indifferent to the community aspects of blogging. I’m not indifferent in the least, of course; I’m grateful that the habit of putting my thoughts out there has kept me in touch with others, and has brought people into my life. Thank you, by the way, to those of you who took the time to write me during these months of silence. Your care was moving and sustaining, and is one of the things that kept me going and helped me find my way back here. 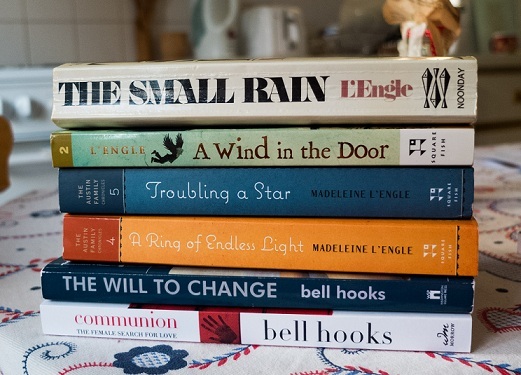 I read a lot of books that were important to me in the past few months: as the photo above shows, Madeleine L’Engle featured prominently among my choices. A Ring of Endless Light was actually a late 2015 book, but it’s stayed with me more than anything I’ve read in recent times; for weeks and weeks I hesitated to put it away, because I kept picking it up and revisiting certain chapters. I followed that up with the next book in the Austin Family Chronicles, Troubling a Star: it follows Vicky Austin on a trip to Antarctica, and it is, I think, a novel about vulnerability and trust. It becomes increasingly obvious to Vicky that there’s someone on her small excursion that doesn’t necessarily mean the rest of the party well, but it’s only by refusing to view all of her fellow passengers with suspicion that she manages to survive. Trust is also at the heart of Marilynne Robinson’s Lila, another standout of the year so far. It’s a novel full of kindness and delicacy and hope — the hope of finding one’s way back from mistrust, even when life’s hurts have pushed one beyond imagining. This year has been very much about finding common strands in very different works of fiction and non-fiction, which got me thinking about one of the many rewards of a life spent reading. It’s inevitably reductive to frame this in terms of “the reason why I read”, when reading serves so many different purposes in my life. Just like living isn’t only about the peak moments when everything seems to come together in a surge of purpose and meaning and joy, reading is about more than moments of great insight. Still, this is something I especially value: in my notes file I jotted down a Lewis Hyde quote, which I think I came across back in January. “The greatest art”, Hyde says, “offers us images by which to imagine our lives”. One of the things I treasure about reading is the mental and emotional furnishing it provides me with (and about music, too, but that could be the subject of a whole other post). The words of my fellow humans allow me to push beyond the limits of what I’m able to articulate about myself and the world at any given time. Even images and phrases I can’t yet fully integrate into my internal narrative sometimes provide hooks on which to hang future insight — and so my understanding grows, like a plant in nourishing soil. This isn’t necessarily about finding answers to all the questions posed by being a person alive in a complicated world, but instead about having the tools to ask better questions. It’s about the sheer relief of clearer articulation, and all it’s done for me over the years. I’ll leave bell hooks for another post, since what was meant to be a quick hello has already grown longer than I intended it to. I’ll be back very soon with more recent reading, recent TV watching, and this year’s exciting travel plans. I’ve missed you all. So many, many things to love here but this is what made me want to comment: "It’s about the sheer relief of clearer articulation, and all it’s done for me over the years." Ahhh, yes. not by annie dillard (that quote) but from an essay by sam anderson ON annie dillard. just wanted to rectify that! Thank you so much for sharing that - I read the essay and it made me want to read The Abundance (which by the way is an amazing title). Just a note to say I'm very glad you're still here and still reading. And I too love that line about the "sheer relief of clearer articulation." One of the oddities of being a blogger for a long time is when something's going on that you *can't* blog about and so can't get that relief! Thank you so much! And yes, so true. It's really good to be giving it a try again. I hope things are looking up and I'm so glad to see an entry from you! They are! And thank you <3 It's so nice to see you guys are all still here. Wishing you many more insights from reading and looking forward to more posts! "Her awareness that at the bottom of it all is love for ourselves and for others, as well as for art, shines through the story." This is beautifully put. Thank you so much for recommending this book to me. HI ANA ANA HI HI HI HI HI HI. I can't wait to hear what you think about bell hooks. I bet you love her. Do you love her? I bet so. I do love her! I mean, I already did from reading Ain't I a Woman and Feminist is for Everybody a few years ago, but the books I read more recently were important to me in a different way. SHE'S THE BEST. Thanks so much - it's good to be back! Aww, thank you! This is something I've been thinking about a lot lately. I'm so grateful for it. Yay! 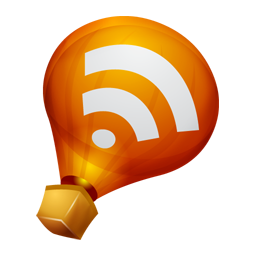 So happy to see a post from you in my Feedly! I hope this has been a restorative time for you...looking forward to seeing more posts! I wouldn't feel comfortable writing this kind of blog (and also I don't read nearly enough), so I don't, but reading yours brings me comfort and brightens my days and frequently teaches me new and important things are exposes me to new material. Thank you for that. I'm sorry this winter has been hard on you. Spring better treat you better or I will come give it a stern talking to. I also. I want you to know that you and this blog have been extremely important to me for a very long time. More than just beautiful and intereesting words about books and writing and literature (not that that is in any way "just"). You have had an impact on my politics and my general outlook on life, and you helped me work through some really tough things back in 2010/11. Nice to see you back! Have I mentioned to you before that I know Lewis Hyde a bit, that he teaches part of the time at the college where I work? Not so with bell hooks, although she did visit once! No, you haven't! That's amazing! And so is the fact that bell hooks visited - I bet she's an incredible speaker. Hi Ana! Glad to see you back around. I love Madeline L'Engle. I keep wanting to do a massive reread, but life happens... Glad you enjoyed her! I remember that I bought my boxed set with all the Time books because you had been talking about her on Twitter. Then of course years and years went by before I read any of them. But then again, this was absolutely the right time for me to dive into these books. So glad to see you back! Love your reflection on the reason(s) we read. I am so behind on everything right now. I am glad you are making a return. You have been missed!